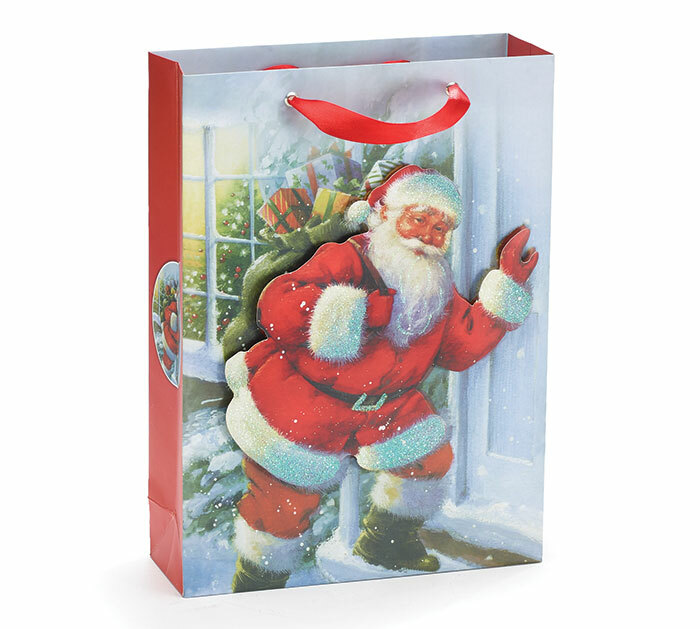 Small 3D Santa tote bag. Santa on both sides of red bag with red ribbon handles. One side has 3D Santa design with glitter accents on Santa's cuffs, hat, and beard.